Janet Raycraft was diagnosed with early-onset coronary artery disease at age 49. Within two years, Raycraft had undergone catheterization and angioplasty, and had two stents inserted to open severe blockages in her arteries. She had seen her father severely disabled by heart disease around the same age and was determined not to let the same thing happen to her. “I did everything they told me to do,” the Fort Pierce, Florida, resident recalls. Raycraft took the medications doctors prescribed, started exercising regularly, and followed the American Heart Association’s guidelines for healthy eating — which included replacing red meat with fish and chicken, and switching to fat-free dairy products. "It felt like somebody was strangling me,” she recalls. “I had pain down my left arm." But even as she thought she was doing everything right, Raycraft’s health wasn’t improving. Doctors kept increasing the dose of her medication to keep her cholesterol under control. She also developed other health issues, including asthma, acid reflux, and severe sleep apnea. Then during a trip to visit her son and daughter-in-law in Tacoma, Washington, Raycraft started feeling uncomfortable pressure in her chest. “It felt like somebody was strangling me,” she recalls. “I had pain down my left arm.” A visit to the cardiologist revealed that she had more than 99% blockage to the left main artery to her heart, and noticeable plaque build-up on her other arteries. At age 64, Raycraft had emergency bypass surgery. Over time things got better. She read more books, learned new recipes, and attended workshops to connect with others going plant-based. And if she’d had any doubts about the choice, they went away when she saw the impact on her health. “My cholesterol and my blood pressure both started to drop within six or seven weeks,” she says. Although initially skeptical, her doctor eventually agreed to reduce her medication, until she finally stopped taking it altogether. Raycraft’s health continued to improve. She stopped experiencing acid reflux within a month, and her sleep apnea and asthma went away within two to three years. Raycraft also lost weight. 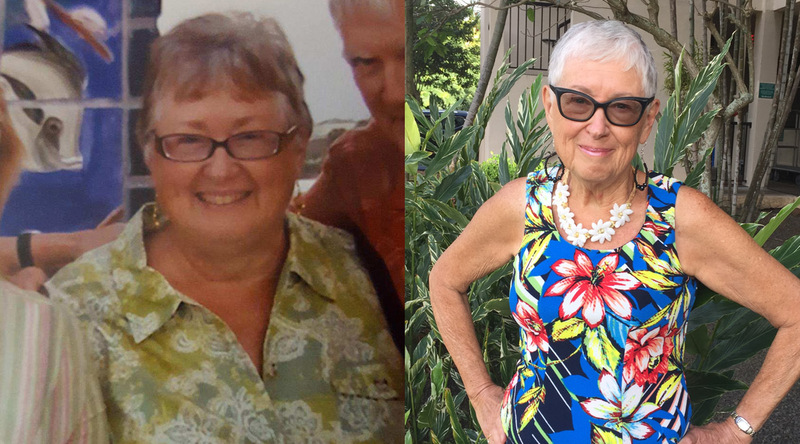 She’d always been on the slim side, but had started gaining weight around her midsection in her 40’s and 50’s — something she’d come to accept as “just part of being middle-aged.” That started to change when she began plant-based eating . “From the time I started to now I’m down around 45 pounds,” she says. "There are so many foods I love, and so much information out there. . . it’s not so challenging anymore." Last month, Raycraft returned to the hospital after experiencing pressure in her chest and difficulty breathing. But when her cardiologist inserted a catheter into her heart to inspect her blood vessels, he was astonished. Raycraft’s arteries were healthy and free of plaque. The chest pain she’d experienced had in fact been caused by blood being rerouted from smaller blood vessels which had formed when her arteries were blocked through her now-clear arteries. What started as a last-ditch effort to save her heart has become a way of life for Raycraft. “There are so many foods I love, and so much information out there in terms of cookbooks and recipes,” she said. “It’s not so challenging anymore.” She and her husband love making grilled vegetables, whole-wheat pasta with steamed kale and tomato sauce, and yes, they still enjoy rice and beans. And Raycraft says she feels good knowing that her choice of eating a plant-based diet benefits benefits more than just her heart. “I did it first for my health, but I also know it helps the planet,” she says. Inspired by Janet’s story? 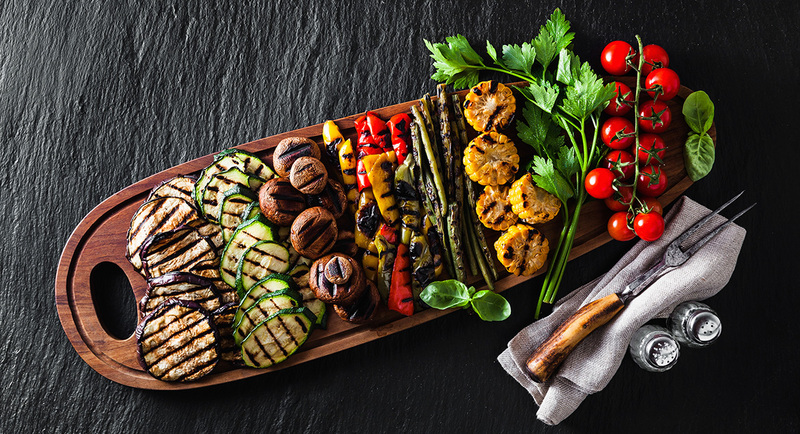 OMD is here for those of us ready to make gradual change for their health and the planet–– by eating one plant-based meal a day. To learn more about how to take the first step, head over to our Get Started page.